With advancement in technology, hypermedia learning environments are becoming more common in education. Such environments present the multiple representations of information in a non-linear and non-sequential format, allowing the learners to enhance their retention and transfer of knowledge by selecting and sequencing their learning paths. Research into expert-novice differences has suggested that learner prior knowledge has major implications for learning. 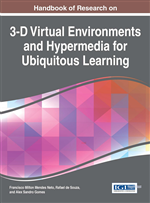 This chapter considers the role of learner prior knowledge in enhancing the effectiveness of hypermedia learning from a cognitive load perspective. Cognitive load theory is an instructional theory that investigates instructional means of managing limitations of human cognitive system, primarily processing limitations of working memory. The chapter reviews recent studies of cognitive load theory-generated techniques for learners with different levels of prior knowledge and relevant research in hypermedia learning. The chapter concludes with evidence-based recommendations for enhancing the effectiveness of educational hypermedia. Understanding human cognitive architecture is essential to cognitive load theory and other instructional theories, as it provides a theoretical framework for explaining how learners acquire, organize and automate information. Without such knowledge, educational designers and facilitators may have little understanding of why some methods of instruction result in superior learning, while other methods fail. Human cognitive architecture includes two major components that are essential for explaining how information is processed − working memory in which we consciously process information and construct mental representation and long-term memory as our knowledge base in which we store the constructed representations. When dealing with novel information, working memory is severely limited in capacity and duration. Humans are able to consciously process no more than a few chunks of information for no longer than a few seconds (e.g., Baddeley, 1986; Miller 1956; Cowan 2001; Peterson & Peterson, 1959). Chunks of information are determined by the available task-relevant knowledge structures the learner holds in long-term memory. They are also referred to as schemas stored in long-term memory (Thorndyke & Hayes-Roth, 1979). A schema is an organized knowledge structure that is used to categorize information and thus guide our behavior. If available, schemas allow encapsulating many elements of information into larger units that could then be treated as single elements in working memory. Therefore the efective capacity of working memory always depends on the availabe relevant knowledge base in long-term memory. Expertise Reversal Effect: A reversal in the relative effectiveness of instructional methods and procedures as levels of learner knowledge in a domain change; for example, different levels of instructional guidance can result in different learning outcomes depending on learner prior knowledge. Intrinsic Cognitive Load: An essential for learning cognitive load that is caused by interactive elements of information that need to be processed simultaneously to achieve a specific learning goal. Cognitive Load Theory: An instructional theory that takes into consideration major characteristics (especially processing limitations) of human cognitive architecture to facilitate learning by effective instructional design. Extraneous Cognitive Load: A non-essential for learning cognitive load that is associated with a diversion of cognitive resources on activities irrelevant to learning; it is imposed by sub-optimal design of learning tasks and information presentations. Long-Term Memory: A major part of our cognitive architecture, an organized knowledge base. Expert Learners (also High Knowledge Learners; Advanced Learners): The learners who have acquired and automated sufficient amount of organized knowledge structures (schemas) in a specific domain. Multimedia: Presenting words (e.g., spoken text or written text) and pictures (e.g., diagram, animation or video). Cognitive Load: The demand for working memory resources required by a learner for achieving goals of specific learning task. Cognitive Theory of Multimedia Learning: An instructional theory that takes into consideration how people lean when studying from words and pictures in order to design effective multimedia environments.